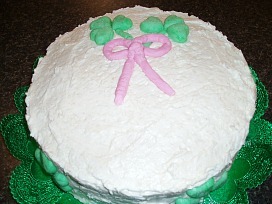 I was happy to learn how to make Irish cakes; cakes are some of my favorite desserts. There are cakes and then there are cakes; when I think of the traditional cakes from Ireland, I think of very fruity dark cakes. 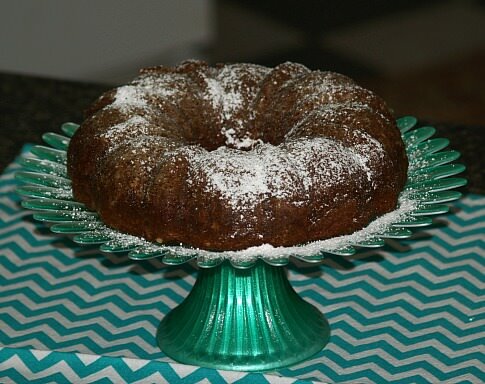 The Irish whiskey cake, also known as the Irish wedding cake, is flavored with the world famous Irish whiskey and is probably the most famous of the cake recipes in Ireland. It is prepared for holidays and other special days; large recipes are made and decorated for traditional weddings. The Irish Guinness cake recipe flavored with the famous Guinness beer is also very popular; it also has many fruits and spices in it. Then I learned how to make the other Irish cakes! I think of these as party cakes; cakes that are decorated and have green in them or decorated with green icing. The green cookies and cupcakes are also favorites. You don’t have to be of Irish decent to love St Patrick’s Day; the food, music and all around atmosphere. The Irish people know how to party and who doesn’t love a party. The following Waldorf Astoria cake recipe is also the red velvet cake recipe; the only difference is the food coloring. I call this one "the green cake". I cannot find a definite origination for this cake recipe. It seems that it took up the name of Waldorf Astoria cake recipe only because it was served there; not that it was created there. 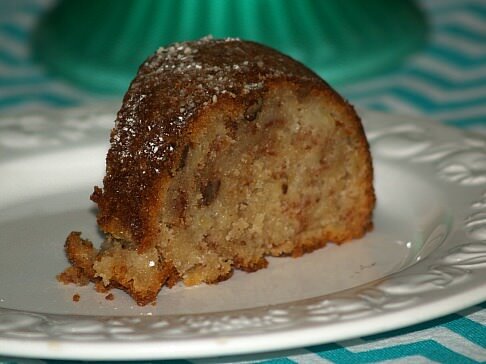 However or where ever this recipe started, it has become one of the favorite recipes for cake bakers. The red is beautiful for Valentine’s Day or Christmas; when I learned how to make the green one, it became one of my favorite Irish cakes for St Patrick’s Day with crème de menthe in the frosting. Cream butter and sugar until light; add eggs beating after each addition. Add cocoa powder and green food coloring; blend well. Sift flour again and add to creamed mixture; add salt, buttermilk and almond extract. Mix baking soda with vinegar and blend in mixture. Divide batter evenly into two greased and floured 9 inch cake pans. Combine flour, salt and milk; cook over medium heat until thick and then cool. Cream sugar and butter until fluffy; add cream de menthe and vanilla. Add cooled milk mixture and beat until fluffy enough to spread; stir in coconut. Spread between layers, top and sides of cake. Rhubarb is grown in Ireland and makes wonderful Irish cakes. Although I always think of rhubarb as a fruit, it is considered a vegetable. It grows easily in Ireland as it does in my home state of Ohio. Rhubarb is so delicious in many desserts like pie (especially strawberry rhubarb), puddings and cakes. This rhubarb custard cake recipe is very easy using a box cake mix and would be very good for a St. Patrick’s Day dessert. Prepare cake batter according to package instructions. Pour into a greased 9 X 13 inch cake baking dish. Sprinkle with rhubarb and sugar; slowly pour cream over top. Bake at 350F degrees for 40 to 45 minutes. Cool 15 minutes before serving; garnish with whipped cream. If you have ever been to Ireland or saw pictures of Ireland, I am sure you had to notice all the lush green. That is why it is called the “Emerald Isle”. This is why everything is green for St. Patrick’s Day and St. Patrick is the first one to relate the shamrock to the doctrine of trinity. This lime cake recipe is a pretty green and white party cake for St. Patrick’s Day. It is made with a white cake and each layer is topped with lime Jello salad using a Jello cake recipe. If you prefer, you can use a white box cake mix and replace it for the homemade cake. Mix sugar and butter and beat until light and fluffy; beat in flavorings. Combine sifted flour and baking powder; sift five more times. Combine flour mixture to creamed mixture alternating with milk. Beat egg whites until stiff; fold into batter. Divide evenly into 2 nine inch greased and floured round cake pans. Bake 30 to 35 minutes or until pick comes out clean. Cool cakes 10 minutes then remove from pans to cool completely. Dissolve gelatin in hot water; add fruit juice and chill until almost firm. Add pineapple, nuts and lemon juice; fold in. Fold long strips of aluminum foil; fit strips evenly and securely around each cake layer (extend a little above each layer) and tape in place. Divide the gelatin mixture evenly on top of each cake layer; refrigerate layers until gelatin is firm. Carefully remove foil strips; set one layer on top of the other on a cake plate. Whip cream with powdered sugar and vanilla; Frost sides with whipped cream and decorate. Apples have been grown in Ireland for thousands of years. St. Patrick is thought to have planted many of the apple trees. A lot of the old historical varieties of apples are still being grown although many old orchards have been lost over the past fifty years. A lot of research has been done to find the best varieties to be grown in Ireland’s climate. Many different types of apples are now grown for eating, for making apple cider and for cooking. Great Irish cakes are now made with the availability of so many apples. Cream butter and 1 ¼ cups sugar until light and fluffy; add eggs, sour cream and vanilla. Sift together flour, baking powder and baking soda; beat into butter mixture. Combine cinnamon and ¼ cup sugar in another bowl. Spread ½ of apple batter in well greased and floured tube pan. Sprinkle ½ of cinnamon sugar mixture over batter. Distribute remaining batter evenly on top; sprinkle with remaining cinnamon sugar mixture. Bake for 60 to 70 minutes or until pick comes out clean. Remove from oven and cool 20 minutes before removing cake from pan. Dust lightly with powdered sugar; serve warm or cold. You will want to add this pound cake recipe to your Irish cakes. Ireland has always been known for its wonderful butter, milk and eggs. This Irish cake utilizes lots of Irish butter and fresh eggs; it has a delicious combined flavor of coffee, almond and Irish liqueur. Top this with the Irish cream glaze and you will have a Irish cake fit for any St Patrick’s Day party. Beat butter and sugar until light and fluffy; add eggs beating after each. Dissolve coffee in hot water; stir in Irish liqueur. Add flour to butter mixture alternately with coffee mixing at low speed; blend in flavorings. Pour batter into greased and floured Bundt cake pan; bake for 1 hour and 40 minutes or until pick comes out clean. Dissolve coffee in hot water; add liqueur and sugar and stir until blended.